What is difference between QA, QC and software testing? As the tester grows, along with the demand, the interview questions in this profession are favored to learn more. In order to apply successfully to large companies, you need to prepare well, skills, knowledge to interview about tester..
To be a good tester, not only do you have to have in-depth knowledge of the profession, but also the ability to explain the terminology to help others understand the difference. Perhaps that is the basic knowledge, that anyone who wants to do this industry should learn thoroughly. 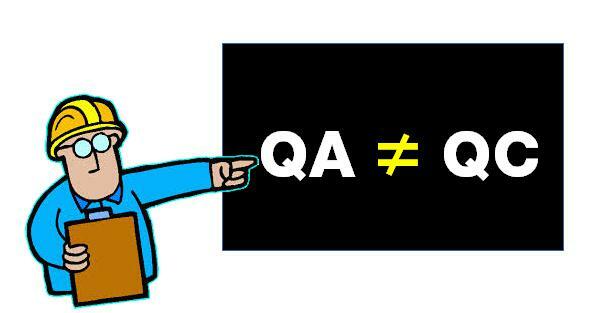 To answer this question: What is difference between QA, QC and software testing. Firstly, we should understand the definition and role of them to see it different from other. Quality Assurance (QA) refers to the planned and systematic way of monitoring the quality of process which is followed to produce a quality product. QA track the outcomes and adjusts the process to meed the expectation. Quality Control (QC) concern with the quality of the product. QC finds the defects and suggest improvements. The process set by QA is implemented by QC. The QC is the responsibility of the tester. Software Testing is the process of ensuring that product which is developed by the developer meets the user requirement. The motive to perform testing is to find the bugs and make sure that they get fixed. Software engineer vs associate vs senior software engineer are different or not? Talk about the differences between software engineer vs associate vs senior software engineer . There are some terms that people in the profession can not quite understand. So, today's post is written with the desire to unravel these questions and concerns. This is also intended for those who do not have the technical background knowledge to have an opportunity to better understand the industries they would like to become part of. Anyone who understands these three phrases would have a common opinion and confirmed that these three concepts correspond to the level of proficiency of the skills, knowledge and experience that correspond to the level of work. First, associated software engineers refer to software engineers with relevant skills, but they do not have the skills needed to interfere deeply with the decisions or system tasks. They are often the ones that need careful consideration, and guidance rather than self-made from a-z. About the difference between them, these two terms are meant to classify candidates with long experience, and candidates with little experience in the profession. The role of this classification, which affects the salaries, bonuses, and responsibilities of the team as a whole. The associate software engineer and under senior engineers are software engineers. These are the people who have the ability and skills to perform, complete a level of work. Senior software engineers who are capable of self-responsibility for the whole system, the ability to self-judge and make important decisions, in case of need. And those who have higher salaries than both. Because of the experience, skills, they are more professional.